From early design stages to project completion, Ramboll’s Sustainability experts has been working closely with HOK architects in the US and Saudi Aramco, our primary client. The team provided energy modelling and technical energy studies to ensure achieving the maximum energy scores: 10/10 points for optimised energy performance credit and a total of 16 out 17 available points under overall Energy & Atmosphere category. King Abdullah Petroleum Studies & Research Center (KAPSARC) is a community development comprising a research centre, community facilities and single family residential buildings in the Kingdom of Saudi Arabia. 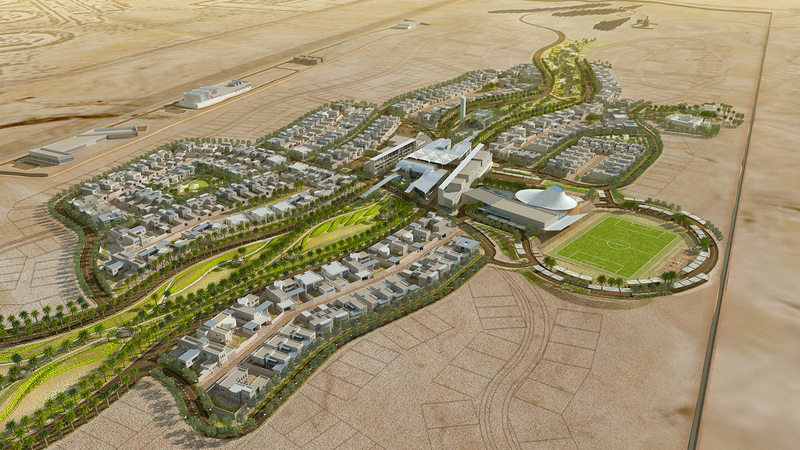 The community facilities, with seven buildings, are pursuing LEED Platinum under the LEED NC for Multiple Buildings, making it one of the first developments targeting this rating in the Middle East. In addition, the single family residential development of 200 residential buildings is targeting a Platinum rating under the LEED for Homes, the first project to attempt this outside of North America. The project adopts sustainable design and construction practices from the concept stage to achieve the Platinum certification and to reduce the carbon footprint of the project from a life cycle perspective. The project introduces multiple on-site renewable energy systems and water saving strategies. In addition, the project limits site disturbance through considerate design and the implementation of a construction activities management plan. The project also promotes biodiversity through ecology rehabilitation.